TheraQuest was founded in 2013 by John Hesmadt and Samer Khoury. TheraQuest – pain management, sport massage, massage therapy, therapeutic techniques. We are all about relieving your pain. The experts at TheraQuest specialize in pain management and sports massage therapy. They help their clients live happier, healthier lives. The techniques used are designed for those experiencing pain due to car accidents, chronic conditions, tension and sports injuries. TheraQuest’s goal is to always provide the highest quality massage therapy, therapeutic stretch techniques and pain management. Techniques used by TheraQuest are designed for those experiencing pain due to car accidents, chronic conditions, tension and sports injuries. We provide sports massage therapy and therapeutic stretch techniques. You are eligible for a medical massage as part of your treatment plan if you have been involved in a motor vehicle accident. Massage treatments help to address the stress that comes with a traumatic event such as motor vehicle accident. These types of treatment also help relieve many of the sprains, strains, and other injuries sustained during the accident. Our massage treatment works very well in conjunction with other treatments such as physical therapy, acupuncture, chiropractic care and more. 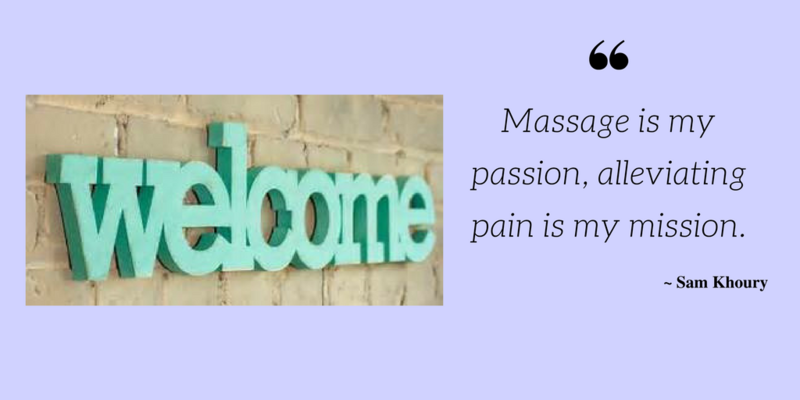 The unique backgrounds of our therapists at TheraQuest makes it possible for us to provide exceptional pain management therapy. Pain management therapy enables us to alleviate pain resulting from a number of ailments. Please see our “About Us” page for more information on who we are and why our staff and therapists are so passionate about what we do. We accept No Fault Insurance for car accidents, Master Card, Visa, Discover, HSA and FSA.